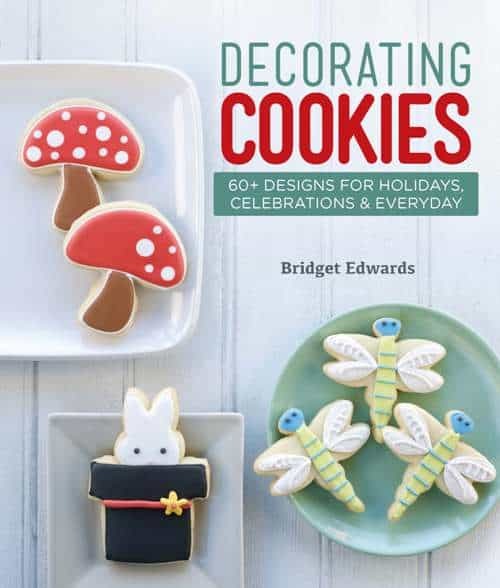 I am so excited about this beautiful cookbook “Decorating Cookies” by my friend Bridget Edwards of the fabulous blog Bake at 350. She is so unbelievably talented. 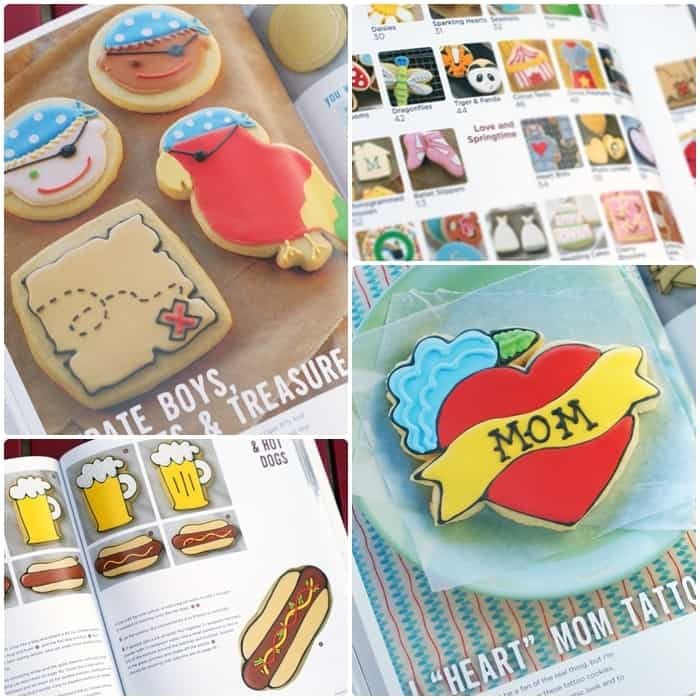 Her cookies are the cutest things you’ve ever seen and now we can learn from the best! How exciting is that?! You can purchase her book on Amazon and Barnes and Noble to name a couple. It’s funny, I’ve never met Bridget in person, but I swear I know her, lol! Not sure how we’ve managed to miss each other over the years! We need to meet soon girl! I love the pages in Bridget’s book. Those hot dogs are killin’ me! Lots of beautiful pictures. Love the picture index! This photo makes me so happy! Look at all of Bridget’s creations. So cute! If I can make one half as cute as Bridget’s I’d be happy!! Bridget was kind enough to share a recipe from her book with us, her Gingerbread Cookies. Position a rack in the center of the oven and preheat the oven to 350°F. Line three cookie sheets with parchment paper. In a medium bowl, whisk together the flour, baking soda, salt, ginger, cinnamon, allspice, and cloves. Set this mixture aside. In the large bowl of a stand mixer fitted with a paddle attachment, RECIPES cream together the butter and both sugars until light and fluffy. Beat in the molasses and egg. Mix until well combined. Add the flour mixture in three parts, mixing on low speed until just combined. Scrape down the sides and bottom of the bowl as needed. Divide the dough in half and form into disks. Wrap each disk in plastic wrap, and refrigerate for at least 30 minutes. Prepare a rolling surface and roll out one of the disks (see Rolling and Cutting Cookie Dough on page 23). Cut as many shapes from the dough as possible and place them onto a prepared cookie sheet, approximately 2 inches apart. Place the cookie sheet in the freezer for 5 to 10 minutes. Freezing the cookies helps them keep their shape while baking. Meanwhile, knead the scraps and remaining dough together and continue the rolling, cutting, and freezing process on a second prepared cookie sheet. After freezing, immediately bake the cookies on the center rack of your oven for 9 to 12 minutes, or until the cookies appear done in the center. Remove the cookies from the oven and let them cool for 2 minutes on the cookie sheet. With a thin cookie spatula, transfer the cookies to a wire rack to cool completely. Rotate the cookie sheets from the freezer to the oven to the cooling rack until all of the cookies are baked. Giveaway is now closed and winner has been notified. Thanks. 2. Join Bake at 350 and Picky Palate on Facebook. 3. Contest closes December 10th, 8am PST. US residents only. Winner will be chosen via Random.org and will be notified by email. Winner will have 48 hours to return my email to claim prize. Better Home’s and Garden Cookware Giveaway! 6 Winners! I love the mushrooms and the popsicles! Liked picky palate on facebook! like bake at 350 on fb! I would probably try to make some Christmas cookies…maybe some cute Christmas trees or stars. I would make the hotdogs and beer! I follow picky palate on Facebook 🙂 How fun! I would try the mermaid first. We love mermaids. 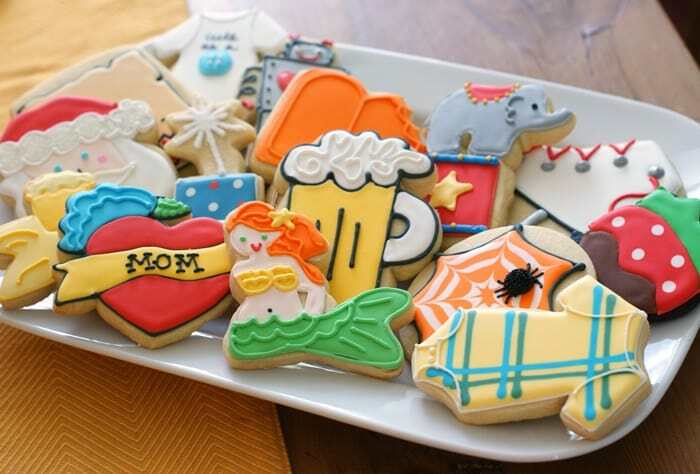 I’d love to use her basic sugar cookie recipe and make “Welcome Baby” cookies for my soon-to-arrive nephew! I would love to make the mushroom ones! Would have to be the Santa cookie for now, but I do love the dragonfly! I would go with the ballet slippers! I would make something boyish cor my 2yr old son. He is so into trains and airplanes right now. If I made either one of those he would be in heaven.